Eric Drooker's latest New Yorker cover is an homage to Coney Island which was struck by Hurricane Irene last weekend after it traveled up the east coast. 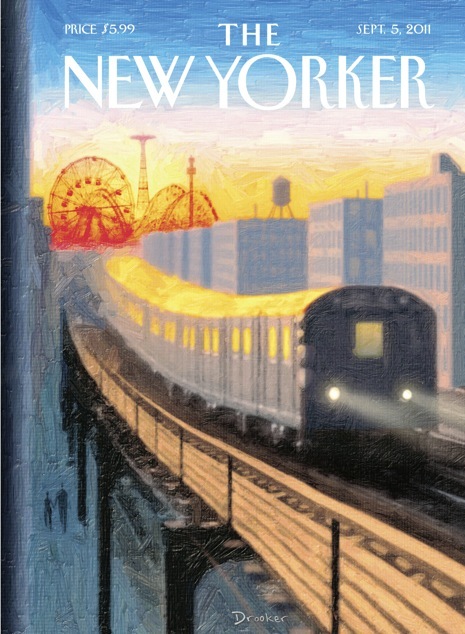 A native New Yorker, Eric has been regularly painting covers for the New Yorker for many years now. Riding the Subway every day to Coney Island myself, I definitely enjoyed this cover most of all.